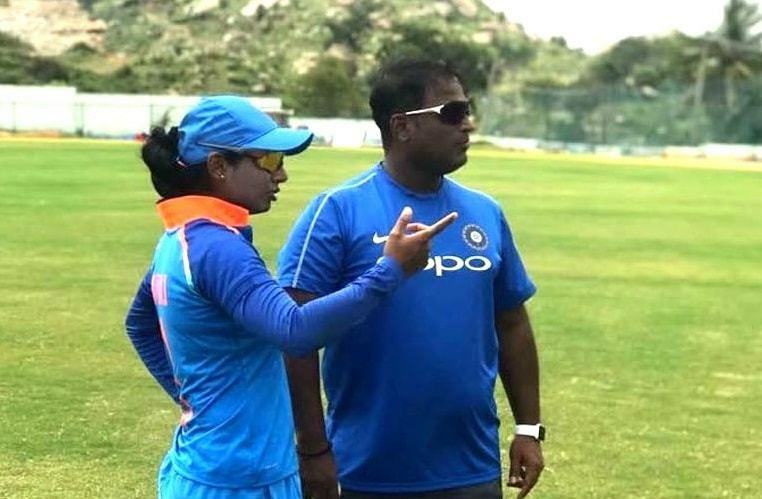 Ramesh Powar replaced Tushar Arothe, as a head coach of Indian women’s cricket team till world t20. Arothe stepped down due to the alleged difference with the senior players in the team. Power is the former Indian off-spinner, a 40 years old has played two tests and 31 ODIs for the country from 2004 to 2007. When Arothe resigned in July, he was named as interim coach. Arothe was forced to resign from his position last month after a few senior players wanted his dismissal. The training method was not good as per the players and they were not happy with the training method. After the last meeting of COA with the senior players, it was almost final that Arothe is going to resign and Powar will take his place. The present member at the meetings was present BCCI acting secretary Amitabh Chaudhary, CEO Rahul Johri, GM cricket operation and Saba Karim. The team manager, selector, and even the players have the adverse report on Arothe’s coaching method. The information was told by a senior BCCI official to the press media PTI. The women’s ODI captain Mithali Raj and T20 captain Harmanpreet Kaur even they didn’t have good things to say about Arothe’s coaching method. When BCCI took their feedback. Now Powar has been named as head coach and has been handed over full-time duties till 30th November 2018. Powar will include the tour to Sri Lanka according to the BCCI terms in September, which is a bilateral series in West Indies in October. And then there will be ICC Women’s World Cup T20 in West Indies in November. Press the red bell icon for more updates on Cricket news and Match Prediction.